My husband and I are winding up our business and need to decide on a vehicle for our future needs. At the moment we have a 2008 Peugeot 207 and a 2006 VW T30 LWB Transporter van. Both are diesel and we would need to trade in or sell both to put towards our next vehicle. Even then, we’d need to look at a used car, possibly one which has been a company car. We live in Exeter and generally drive fairly locally with perhaps, once a month, a round trip to London and an extended trip to France or Spain every other year. We need a car that will take a bike-rack for our holidays and roof bars for a very lightweight ladder when necessary. 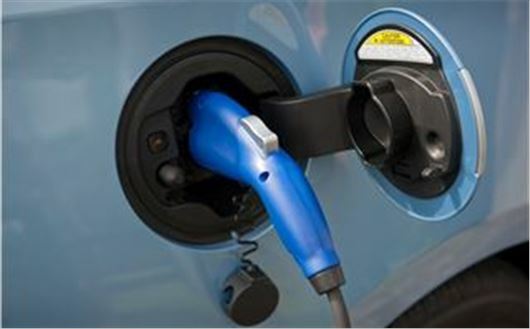 Because we are nervous about finding enough charging points and have been told that the fast-charging points at service stations are not good for the battery, we are leaning towards a plug-in hybrid vehicle. What are your thoughts and suggestions? Not very many PHEVs and, of course, the Government has stopped the £2,500 grant towards them. A KIA Niro PHEV is a good idea. A Toyota CH-R is more stylish, but a self-charging hybrid, not a PHEV. Toyota Prius PHEVs tend to get snapped up by taxi drivers. A Golf GTE PHEV could probably work. Mitsubishi Outlander PHEV are very good, but quite expensive. In February 2017 I bought a one owner 9,500 mile 2014 Golf R from a branch of a big dealer chain. Since then, it’s been serviced by my local Volkswagen dealer, including an out of warranty goodwill exchange of a broken water pump. After that, I took out the extended warranty. At its most recent service this week it needed a new Haldex pump. The warranty claim failed as VW said the car ECU was showing a “TD1” flag that the ECU had been remapped. I didn't remap it. It must have been the previous owner. I understand why the warranty won't cover the driveline for a modified car, but what concerns me is that VW admitted it had known about this since its last service, in January 2018, but they didn't tell me. So since then it has effectively left me uninsured: I couldn't tell my insurers about the remap I didn’t know about. What’s more VW sold me an extended warranty knowing that the remap flag would mean it would never pay out. Can it be right that manufacturers collect such critical information but don't inform owners? And what would you say the diminution in value is of a remapped car? Your issue here is with the dealer who sold that you a car with a modification that voided the car's manufacturer warranty. Under Clegg v Olle Andersson (trading as Nordic Marine) House of Lords, 2003, there is no time limit on such a claim. Tell them that if they do not assume responsibility for all faults that occur during the warranty period you will sue them for all of the repairs. See: /faq/consumer-rights/ Because the warranty insurer has voided your warranty for a condition that pre-existed taking out the warranty you are entitled to a full refund of the cost of the warranty. A full refund, not a partial refund. You are right. The dealer should have checked the ECU before issuing the warranty. I am going to buy a new car and, after doing some road testing of various motors, including the Toyota C-HR hybrid, which I liked very much, but it had neither the boot space for golf clubs, or magic seats for my mountain bike, I have therefore decided that the Honda HRV 1.5iVTEC CVT is the one. My question is, do you know if Honda intends to include a hybrid in the HRV range? There were changes to the HR-V line-up last year and the 182PS 1.5iVTEC Turbo Sport is now arriving at Honda dealers. No news on an HR-V hybrid for the UK. The new CR-V uses a better hybrid system than the one originally adopted on the HR-V in other markets. I am writing to request some advice as to whether the parking charge I received is lawfully enforceable and how I should tackle this situation. The details are as follows: - Athena ANPR Ltd - £90 parking charge for an overstay of 15 minutes in Lidl car park. Do they have a right to ‘recover outstanding parking charges from the registered keeper of the vehicle’ and ‘transfer your case to a debt collection company or to further legal proceedings’? Any advice on what I should reply with would be greatly appreciated. According to the ruling in Beavis v Parking Eye, Supreme Court, November 2016, on identical facts (assuming you were the driver of the car) you have to pay up. This ruling on the facts is unlikely to be changed by Sir Greg Knight's Parking (Code of Practice) Act 2019 that received Royal Assent in March and comes into force in the Summer. I am still pursuing the purchase of a Skoda Kodiaq and have elected for the revised TSI 190HP that dealers can now order. I have been offered a deal with an excellent trade in (£500 higher than 3 other dealers), still with a 16.5% discount on the Kodiaq. The dealer has offer to ‘lock in’ my £5k deposit (equity after paying off my current finance) until I get the car in 4-5 months time. I’m concerned I may actually loose out as I’m told depreciation on my Sorento is likely to be £150 - £180 per month- which is half of my monthly loan repayment, so I stand to actually have greater equity by the time the car is delivered. Am I being too greedy? Is the dealer trying to gain more indirectly? Or is he actually offering me a good deal? Wrong thinking. Though the Sorento will be 5 months older and consequently worth less of a smaller amount, the Kodiaq will be 5 months newer and consequently worth more of a greater amount. That's all looking good. There could have been some damage in the compound or on a transporter and the dealer has realised there was mechanical as well as bodily damage. He is making a sensible offer. A few weeks ago I asked you for advice on what car to buy for my wife and you came up with Honda Civic 1.8i VTEC Auto or a Mazda 3 2.0 Auto. After dealing with a lot of numpty salesmen please bring back Arthur Daley. At least you knew where you stood. I'm a London Cab Driver, so I think I'm reasonably street wise. I come across a nice Honda at a Honda dealer. It's well maintained but the mileage is 49,000. Should I be concerned? I know they are reliable. Can you please point me in right direction. 49k is nothing. Our Honda Jazz 1.5iVTEC in Thailand with the same 5-speed torque converter auto has done 110,000 miles (177,000km) and still runs sweet as a nut. I am 92 years of age, an angler with a Toyota Avensis TR Tourer, which I want to change for a smaller one, possibly a 1.6. My old Avensis had a flat boot and when I went to change it the new model had a "well" type one which was most unsuitable for carrying my fishing gear. I would like a new car with a large flat boot, but must have a rear drop down seat so has to accommodate my six foot baggage which holds my umbrella, fishing rods and poles. Any suggestions? Since buying my Audi A1 I have never been entirely happy about the puncture repair kit. Your column tells me they are useless and so I have just ordered a spacesaver spare wheel. Not sure how much room will be left, but the movable boot base has been provided with additional supporting ledges in anticipation, I suppose. Even now, though, the prospect of a puncture or blow-out on a smart motorway still worries me, with its limited refuges. Are they here to stay do you think? Of course. No room beside the motorways to build extra lanes. There are cameras every 100 metres that automatically close off lanes and impose speed limits in the event of a stranded car. You're safer stuck on a Smart motorway than you are on the hard shoulder. I have just had to buy a new battery for a BMW convertible that I bought in 1988 and has only done 50,000 miles. This was not a problem but it did make me wonder how long the batteries would last in a modern electric car and how much they would cost to replace. They are eye wateringly expensive, usually between £180 and £220 per kWh and their capacity depletes over the years. One reader was quoted a massive £7,800 for a 30kWh battery for a Leaf (£260 per kWh). That's why it can be better to lease the batteries. However, Tesla, the battery company that makes cars, seems to have cracked it with batteries that continue to provide a decent range for many years. I would be grateful for your advice about Lexus tyres. I have a 2014 Lexus GS300h hybrid fitted with Turant 235/45R18 94Y steel radial tubeless tyres, which makes the ride somewhat hard in my wife’s opinion. Can you please recommend tyres which would give a softer more comfortable ride? If you switch to 17-inch wheels you can fit Michelin Cross Climate 225/50 R17 98V XL and they will be much more comfortable as well as being much safer in cold, wet and snowy conditions. After 14 years of buying Audis (two A4s and lastly an A3 1.4TFSi) as I’m now retired, I recently needed to replace my 4 year old car and seek a new medium size saloon that is better value for money (my budget £20-£25k). I have found Audi A3 Spaceback new car prices now way over my budget and similar sized 4-door saloons difficult to source, as most appear to be hatchbacks. After much searching I have explored and liked the new Mazda range (my wife recently sold her MX-5), so we like the driving style. I just purchased an ex. demonstration Mazda 3 2.0 Skyactiv G Sport Nav Fastback and am very impressed with it, finding this model also great fun to drive, albeit not as spritely at low revs as the Audi A3 1.4TFSI as the Mazda 3 has no turbo. I’m finding road noise is quite high from the 18-inch tyres. What is your opinion of these Mazda 3s and is there anything I should be aware of in the future? My annual mileage is now 6-8k pa with minimal motorway driving. I need some help, please. I have a Mitsubishi Outlander GX5 LF63DYS, 63,000 miles. I am looking to purchase a smaller SUV that can tow 1.5 tonnes. I have seen a Vauxhall Grandland and it looked about the right size. I have not been able to find out its towing capacity. I wish to avoid VW group vehicles as I am unhappy with their attitude towards the UK. I shall be glad of your advice. I and my wife are both 80 and both like the height of the seats for access. I need to be able to have a flat area when the rear seats are down. I have had diesel vehicles for thirty years now and like the power at low revs. However, is it the time to change to petrol? It must have an automatic gearbox to avoid the dual mass flywheel. I had one fail on my Santa Fe just before 50,000 miles, so it did not cost me anything. The Grandland is basically a Peugeot 3008 modified to suit Vauxhall fans. The petrol engined Grandland X automatic can only tow 1,100kg, so no good for your purposes. You’ll probably be better off with a Mazda CX-5 2.0 Skyactiv G 6-speed torque converter auto that is rated to two 2,000kg: /road-tests/mazda/mazda-cx-5-20i-petrol-automatic-2019-road-test/? Smart motorways: Sadly overhead warning signs are not enough when we have the HGV drivers playing with their laptops with the truck on cruise control. Plenty of videos of them batting into stationary vehicles and you don't see the brake lights come on. The first thing the 'driver' knows about it is after he has compressed the unfortunate car in front into 1 third its original length. It should be law to design trucks with the driver at the same level as cars and vans and not above the accident out of harms way. Maybe then they would pay more attention. Battery charges: I believe I read that Tesla will now only service their vehicles up to 6 years old, after that they no longer support them or the battery packs - 4 years/50,000 warranty for all models, except Model S & X for 8 years. rechargeable batteries, they just seem to be another hidden cost, just like diesels and the SCR/DPF components and everything with sealed LED light clusters. Battery charges: I believe I read that Tesla will now only service their vehicles up to 6 years old, after that they no longer support them or the battery packs - 4 years/50,000 warranty for all models, except Model S & X for 8 years. rechargeable batteries, they just seem to be another hidden cost, just like diesels and the SCR/DPF components and everything with sealed LED light clusters. Sorry but HJ continues to chat rubbish about EVs and their batteries 'losing charge' over the years. Yes, like an internal combustion engine that loses horse power over the years, batteries do degrade. However, drivers of EVs over 4 years old show less than 3% degradation. Even Teslas in the US with over 200,000 miles on the clock still retain over 90% of the original charge capacity. And I dont know how the Leaf owner was quoted an 'extortionate' price to replace the drive batteries since Nissan like other EV manufacturers will replace a pack that has lost charge capacity down to 70%. Of course if the owner was looking to change the Leaf's battery pack for a larger capacity version then yes, the manufacturer whould expect the owner to pay. See Highlander's post about Teslas. I agree £17,800 was outrageous for a Leaf battery when the average cost is around £200 inc VAT per kWh, and you can lease Renault/Nissan EV batteries from around £50 a month, but that what the email said he was charged. I have found that, in similar circumstances to IH, Athena will cancel the overcharge penalty if you can demonstate, or reasonably claim by submitting a reasonably large Lidl bill in evidence, that you only visited Lidl during your stay. I sent them an email with a scanned copy to the appeal address on the penalty notice and they cancelled it without any problem a couple of days later. If however you no longer have your Lidl bill or the time stamp on it is long before your free entitlement expired then you will almost certainly have to pay. I would like to add two things to this. Nissan have started offering reconditioned packs for much much less. The only Leaf failures I have read of occurred in the hotter parts of the USA and are down to Nissan not fitting thermal sensors that other EV companies fit. Look at other brands, and you will struggle to find any failures that werent manufacturing defects. Example - GM/Opel/Vauxhall* Volt/Ampera; it is impossible to get a battery replacement quote for this 8 y/o car because to date, no packs have failed or lost more than a few % of capacity; other than a very rare fault with a few early packs. *Hardly the worlds most reliable brand. In response to Brit_in_Germany, that's about £6,000, which is in line with £200 per kWh, so I guess we've established that the person quoted £17,800 either got it wrong or was ripped off. Not that a 30kWh battery actually gets you very far. This HGV driver from his raised height sees dozens of car and van drivers playing with their mobile devices every hour of every day he's out on the roads, hopefully my observation applies to you as much as your generalisation does to me. However, yesterday Friday morning, peak period once again the West Mids section of unsmart motorway proved to be a dangerous place to be, could someone wake the video operators up there please, this is now the 5th time i've come across similar unwarned stationary vehicles in live lanes, i probably travel those sections one to four times a week. In the 4 lane section, 60mph signed if i recall on all 4 lanes, M6 westbound just before jct 5 castle brom junction, once again a broken down vehicle, van, on the left hand live lane, lorry stuck behind it trying to pull out, car stuck behind that lorry also trying to pull out, and this in daylight, how much more dangerous this situation would have been for all in darkness on wet roads. This smart motorway roll out needs a rethink, my own suggestion is to until further notice not to have have live lane running on the left hand lane during the hours of darkness especially so on the miles of completely unlit motorway sections (Northants 16 to 18 is particularly dangerous), but that also requires drivers to work out whether the left hand lane is live or not, i've seen hundreds of vehicles driving down the (hard shoulder for emergency use only) and thousands more causing mayhem by driving at up to 20 mph lower than everyone else but sticking rigidly to the second lane when all lanes are in use...whole swathes of the general motoring population appear unable to work out what they are doing or allowed to do. If a survey was done, I suspect it would find a near identical of bad drivers in both cars and HGVs; I have seen plenty of bad behaviour and reckless driving done by both. Obviously there are more cars, so there appear to be more bad car drivers. Also remember, 99% of those bad HGV drivers also have a car. Of course 85% of fleet operated commercial vans drivers are legally insane, so I left them out. Being overtaken by someone reading a book (Saab 900 in the middle lanes of the M25). Being overtaken by a 3 wheeled Fiesta (M5 southbound near Bristol). A petrol tanker straddling the Emergency lane/inside lane for ~20 miles (M5 southbound between Worcester South and Gloucester). HGV semi doing a 120 point turn on a corner, on the dual carriageway near Windsor, just off the M4; having been driving the wrong way along the road for a couple of miles. I was going north on the smart motorway section of the M5 6miles before M42 08.15 Sunday The warning sign was on to move out of the near lane because of an obstruction and speed to 50mph. carried on through a few miles and two further signs indicating an obstruction. Finally reached a car which had made it to a small layby. After passing the car NO signs at all to say that the road was clear and to resume the nearside lane and 70. If these sections of Mway are considered smart why can't they be signed correctly. Dread to think that drivers safety relies on an operative to sign the road. Smart motorways: Sadly overhead warning signs are not enough when we have the HGV drivers playing with their laptops with the truck on cruise control. Plenty of videos of them batting into stationary vehicles and you don't see the brake lights come on. The first thing the 'driver' knows about it is after he has compressed the unfortunate car in front into 1 third its original length. It should be law to design trucks with the driver at the same level as cars and vans and not above the accident out of harms way. Maybe then they would pay more attention. Agree 100%, I remember the accident on the A34 near to Newbury a few years ago which crushed several cars and wiped out a Mother and Three children, the Lorry Driver had been scrolling through music on his phone for the last few miles at 50 mph - all filmed on the in-cab driver facing camera. Flashing Signs, Strobe Lights or a neon orange zeppelin floating over the carriageway wouldn't have got his attention nor did the fact that he was being recorded doing it act as any deterrent. Not to mention the other p******s who seem to drive around gazing at their phones etc, seemingly unable to be parted from their adult comfort blankets, and yes this includes Car, HGV and Bus drivers, although the latter two are the ones most likely to cause the most damage when hitting a queue of traffic, and the ones who carry some pride in tagging themselves as a "professional" driver - and so should really know better. You only have to read forums like "Trucknet" to see how many HGV Drivers still think that its "OK" or at least see no problem in using a mobile phone whilst driving their 40 / 44 Tonne HGV's down the Motorways whenever the subject is mentioned, nor do (m)any of their colleagues seem to lambaste them for it, and whether this is internet pub talk or fact - the industry attitude towards the subject is frightening. Personally if the worst should happen i'd rather be stranded on an empty hard shoulder (which was known for decades to be an empty emergency refuge) and is never used for routine traffic flow, than rely on signs closing down a live lane which is carrying heavy traffic at high speeds. Whilst the majority of drivers would notice a change in the overhead gantry sign, it only takes one idiot to be distracted in a large heavy vehicle or a glitch in the technology running the system for lives to be lost, and nobody wants to become a statistic. Could not agree more. So called "Smart motorways" are stupid solutions by stupid transport ministers unwilling to bite the bullet and find a decent well engineered solution to congestion. In addition "smart" or "managed" motorways require a very high level of concentration to ensure that you precisely follow the changing speed limit signs (without getting rammed up the backside by someone who is not taking similar care), as well as watching for people pulling out of the "hard shoulder running lane" when it gets closed (that is if they realise what the red X indicates - see recent news stories.) And if you are using the death lane having to watch carefully for brake lights coming on well ahead to warn you that its time to move well out because the lane is either blocked or being officially closed. When motorways were introduced hard shoulders were emergency lanes to give the emergency services access, to pull across to when broken down and (in some interpretations) for accessing a vehicle that had broken down. That is what they should be. Re Chips panned I often wonder how many cars are sold on after being 'chipped', but the new owner is not informed.